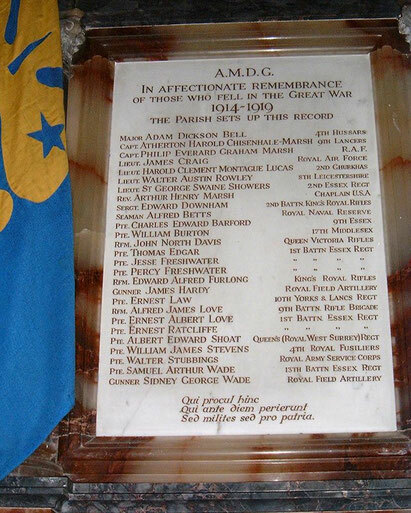 The document below records what we have been able to discover about the 27 men named on the World War I board and the 6 men on the World War II board in the North aisle of All Saints Church, Theydon Garnon. They are listed in the order in which they appear on the boards. 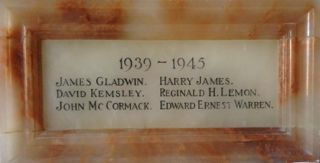 Unfortunately we do not have any photographs of those named, if you are able to send this to us then that would be such an historical asset to add to this information. An indepth look at the individuals on the board, with where they died for our country and where they came from in our community.